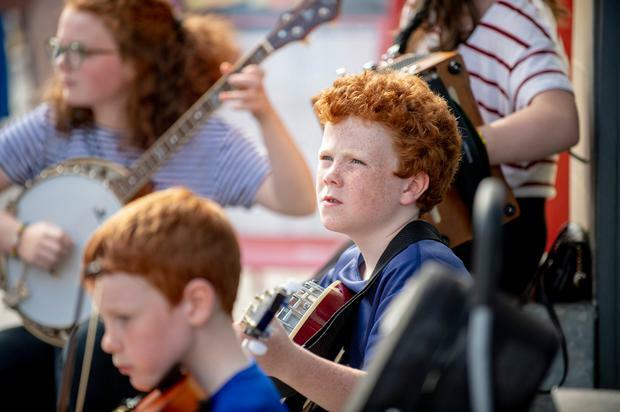 For the first time in its 67-year history, Fleadh Cheoil na hÉireann arrived in Ireland’s largest town, Drogheda, Co Louth. The family-friendly festival, which brought more than 400,000 to Ennis in Co Clare last year, will bring an injection of around €40m to the local economy. The festival holds a dear place in many attendees’ hearts. Jenny and Barney McCabe love the Fleadh so much, they had honeymooned at the festival when it took place in Cavan. Jenny and Barney and their children Cormac (4), Fintan (2) and Muireann (1), had travelled from Cong, Co Mayo, to make the most of this year’s festival. “It is great craic, it is really a family affair. “Drogheda looks lovely,” Jenny said. Valerie and Eoin Hegarty and their five children Caoimhe (10), Eorann (9), Naoise (7), Fionn (5) and Muireann (2) also attended. 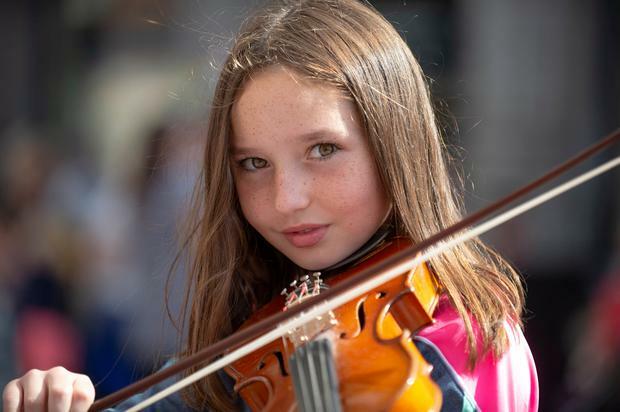 Caoimhe, Eorann and Naoise joined in with the festivities, playing the violin, whistle and concertina respectively on the town’s main street to the delight of passers-by. “We love the Fleadh, it is a great atmosphere and we are going to make the best of it,” Valerie said. At the official opening, President Michael D Higgins said the first such gathering was in Mullingar in 1951 and was attended “by a few hundred dedicated artists and supporters”. 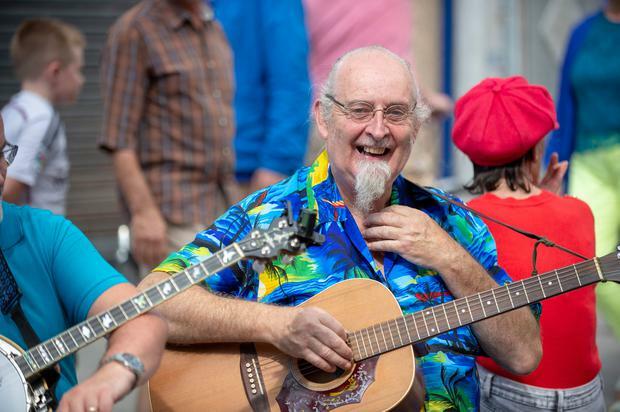 “The Fleadh last year was attended by more than 400,000 visitors and participants and the likelihood is that figure will be exceeded here in Drogheda,” he said. 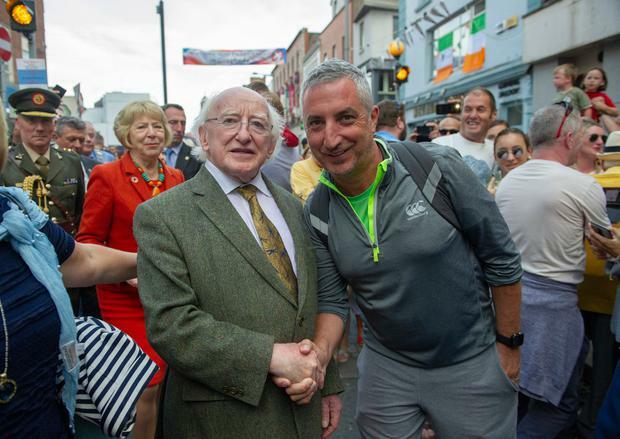 President Higgins encouraged everyone to speak Irish for the duration of the Fleadh.